If you lack the time or resources to manage your own signage, our subscription-based solution to content creation may be right for you. Our professional knowledge of place-based media gives us a competitive advantage for designing captivating content for your interior digital signage systems. Many companies face difficulty with managing their content or lack the resources to implement an effective, consistent campaign for their in-house digital signage systems. 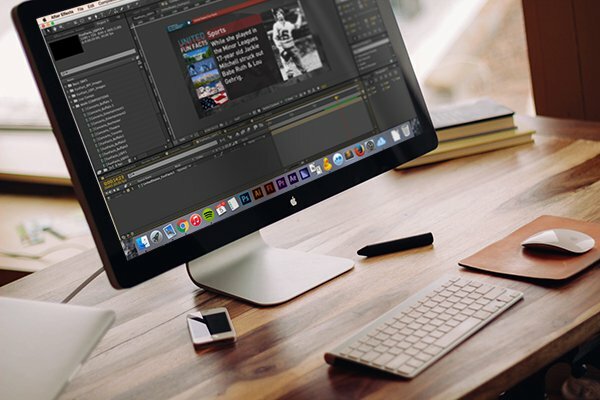 Instead of struggling to design your own advertisements, or to learn new software; turn your content creation over to our knowledgeable staff for a low monthly fee regardless of what system you are currently using. RidgeLogic Development is set apart from the competition by our flagship product, The Community Network. The average consumer is bombarded with advertisement on a daily basis, and digital signage runs the risk of being ignored if its content fails to be compelling and relevant. The Community Network keeps the viewer engaged by organically blending advertising and a variety of entertainment-based content with a community-centric focus. In a sense, The Community Network is a means of entertainment as much as it is an advertising medium. • Reduces perceived wait times. • Makes viewers more likely to look at your advertisements.